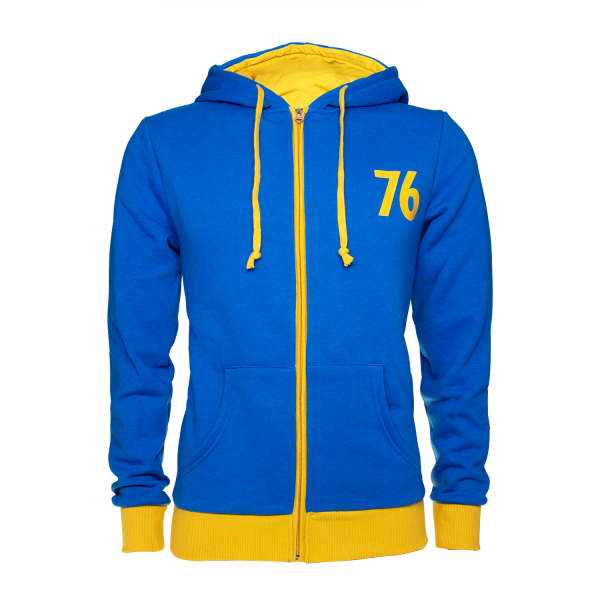 The closest you can get to owning your own vault suit - Blue and yellow hoodie with a 76 printed on the back and front. The cotton-polyester mix (80% cotton, 20% polyester) guarantees a long fit and durability of this warm and comfortable hoodie. Manufactured by Gaya Entertainment.